The community is welcome to experience Mohegan culture at Fort Shantok in Uncasville CT on Saturday, August 18 and Sunday, August 19, 2018. The public is invited to join the Mohegan Tribe at their annual Mohegan Wigwam Festival at Fort Shantok, Village of Uncas, on Saturday, August 18 and Sunday, August 19 from 10:00am to 7:00pm. Learn more about Mohegan culture and traditions including Native American crafts, foods, dancing and drumming. The festival is open to all ages, is family-friendly and admission is free. No pets, please. Parking is at Mohegan Sun’s Thames Garage and shuttles will run throughout the day, each day (including for handicapped guests). There is no onsite parking available. The Mohegan Tribe was founded on the banks of southeastern Connecticut’s Thames River by Chief Uncas in the early 17th century. The nine-member Tribal Council serves as the leadership for the sovereign nation, and also serves as the Board of Directors for the Mohegan Tribal Gaming Authority (MTGA) in regard to the Tribe’s gaming properties and interests. 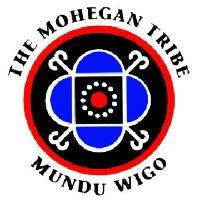 After its federal recognition in 1994, the Tribe opened the world-class casino resort Mohegan Sun on its reservation land in Uncasville, CT in 1996 and Mohegan Sun Pocono, Pennsylvania’s first casino, on commercial land in Wilkes-Barre, Pennsylvania in 2006. Currently, the Mohegan Tribe manages Resorts Casino Hotel in Atlantic City and has interests in Paragon Casino Resort in Louisiana, the Cowlitz Project in Washington State and is developing a casino and entertainment complex at Seoul Incheon International Airport in South Korea.